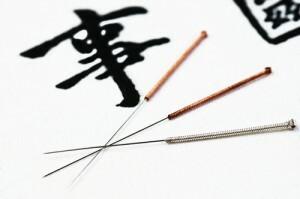 Acupuncture is one of the therapeutic modalities of Traditional Chinese Medicine. Fine needles are inserted into specific points of the body. By facilitating the body’s self-healing system, acupuncture can assist with the management of symptoms in conjunction with conventional medical treatment of diseases. SHOULD I SEEK ACUPUNCTURE TREATMENT? Research has proven that acupuncture is successful in improving mood and energy, relieving pain, encouraging healing after injury, and in maintaining good overall health. It can also be effective in reducing or eliminating the need to take certain medications. Getting blood drawn and pricked with needles may hurt some people and many associate the same type of pane with Acupuncture. However, this is not true. The needles used in Acupuncture treatment are hair thin and other than a slight sensation they do not hurt. Some people actually enjoy the stress relief and relaxation effect of the needles treating the pressure points. All of our acupuncture needles are disposable, pre-sterilized and stainless steel. They range from an array of fine and flexible varying lengths and diameters. An acupuncture needle does not have a cutting edge like a hypodermic needles does, and it slides smoothly through tissue. The depth of the needle depends on the location of the blockage, while the needle length varies from 13 to 150 milli-meters. Exactly where the needles are placed depends on the ailment being treated. For menstrual and other abdominal pains, one needle may be placed into an acupuncture point on the inside of the lower leg just above the ankle; at the juncture of the spleen, liver and kidney channels. For seasonal allergies that cause a runny nose and itchy eyes, needles may be placed in points on the hands, face and thighs, as these are the meridians that cause allergic reactions. You may experience a mild tingling sensation. Acupuncture is a very calming treatment that leaves you with a feeling of relaxation. You may feel drowsy or tired for a few hours after your treatment or experience a sensation of heaviness in the areas that have been treated. Our acupuncture needles are stainless steel, pre-sterilized and disposable, which ensures that there is no risk of disease transmission. The number of sessions required to correct an imbalance depends upon the condition and its severity. Recent injuries and conditions seen at an early stage will often improve quickly. Chronic conditions usually require additional sessions and are typically spaced out over several weeks. Often maintenance treatments are recommended to prevent a recurrence. Patients often experience dramatic results with the first session. Relief may last or some pain may return. In some cases, there may be no immediate relief, only to notice the pain diminish over the next few days. It is a good idea to eat a light meal and empty your bladder before treatment. Since acupuncture moves your energy patients may feel dizzy or a little light-headed if they don’t have something in their stomachs. For this reason the needles are normally inserted while laying on the back. Avoid drinking alcohol, eating a large meal or fasting before your appointment. Do not wear make-up on the day of treatment or brush/clean your tongue. Visual inspection is a primary means of diagnosis for Traditional Chinese Medicine. Wear comfortable, loose clothing and avoid the use of perfumes and colognes.